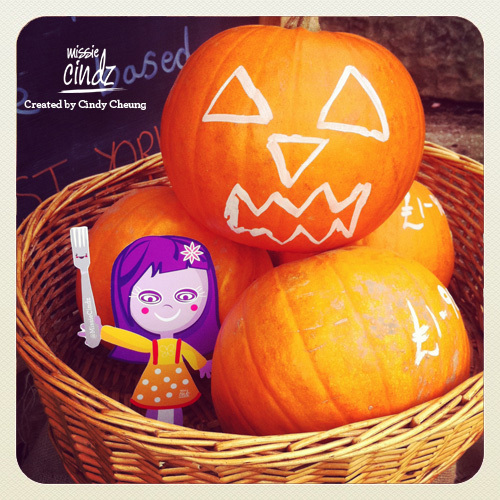 Every things looking pumpkin-licious today for Halloween. Tricks or treats? Things in Sheffield are both crazy and fun because of lots of exciting Missie Cindz projects on the go at the moment (I can’t say too much as yet but no doubt you’ll be posted on my blog, here) and fooding around with Moss Valley Fine Meats and PJ Taste this week for British Sausage Week – it’s a tasty ‘ard life! so it doesn’t even seem like Halloween…yet! 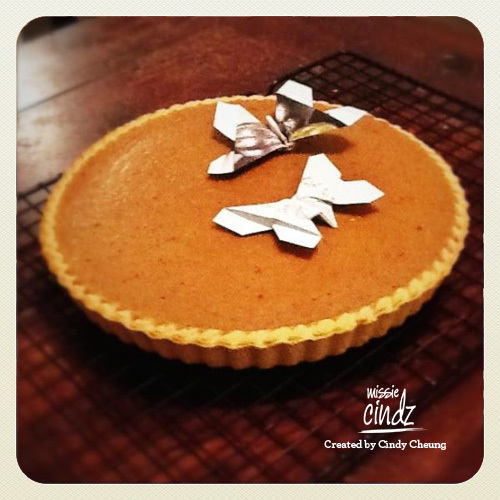 Thank you to @moogaloo (Andy Marshall) for this tweetiful photo of his and @beamoogaloo’s Pumpkin pie, just out of the oven, with origami butterflies – looks too good to slice up and serve. Sweet.